WASHINGTON -- Former Defense Secretary Ash Carter's controversial "Force of the Future" personnel proposals might have a future after all. 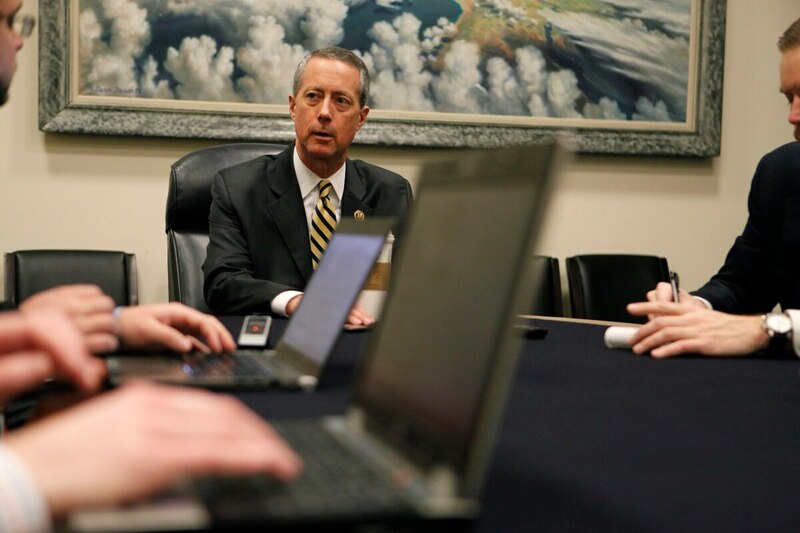 The head of the House Armed Services Committee said some of the ideas in the sweeping personnel reform plan will get another look from lawmakers this year as they consider new force-shaping policies for the military. "Force of the Future got a bad rap, probably wasn't thought through adequately, probably had some ideas that were not the best," committee chairman Mac Thornberry, R-Texas, told reporters on Monday. "But the idea that whatever personnel policies we have lived with -- whether it comes to promotions or making it easier for some folks to move into the military laterally -- some of those ideas are worth exploring." Carter had proposed a range of radical moves in his plan, including fundamental changes to military promotions and pay scales, sabbaticals and other work breaks for some mid-career troops, and relaxing enlistment rules for some specialists looking to join the ranks. But most of the changes require congressional approval, and lawmakers were cool to the ideas last year. Thornberry said he’s unsure which if any could get approved this year, but said he wants to make sure criticism over Carter’s plans doesn’t silence discussions about ways to solve recruitment and retention issues. "We’ve got to keep looking at how we can make our personnel policies fit the times and the challenges we face," he said. "That’s why I don’t think we can throw them all out. Are the specifics right, that’s the question." Over the last two years, Congress has shifted military retirement plans to private-sector investment models and approved an overhaul of the Defense Department health care system. Thornberry said the primary personnel focus this year will be making sure those changes are implemented smoothly. "We’re not going to pass something and walk away from it," he said. "We’re going to do a lot of oversight with the Defense Department in a positive way." But the chairman said he doesn’t want his members to shy away from a continued bold reform agenda for the Pentagon. "I feel strong that many times essential reforms will only come from Congress," he said. "There’s just a limit to what an institution can do to reform itself.